Amongst all the technological marvels and global accomplishments, if there’s one territory that still remains a mystery to geniuses across the world and have them stunned to their senses is not knowing how to tie a necktie. It just seems horrifically undoable, but only seems! Most of them haven’t even tried to give it a shot and have transferred the tying part to someone else. Many have tried and have fallen short of conquering the tag of a knot tier. But those who have been able do the unthinkable; can now do it with their eyes closed. Is there a way around it which most of us don’t understand? Yes there is, and it’s just like how it’s with mathematics - one just needs to have a strong hold of the formula and practice a few times over; after which it’ll be like a neat magic trick to the audience, but of course you’ll know the trickery that goes into it. So, let go off all the trouble of ransacking a market in order to find a permanently knotted tie or the extreme panic in figuring out how to tie a knot before an all important business meeting and read below to learn the magic trick of tying a knot the easy way. Start by hanging the tie on your neck. The smaller end of the tie should be on your left and the larger end on your right. And depending on the length of the tie you want, adjust the small end likewise. A long length will call for the lower end to reach down to length of 1 foot. For the shorter length, the small end can reach further beyond 1 foot. Now keep the larger end on top of the shorter end and fold it from underneath (left to right) the short end. Doing so will create a loop at your collar level for a knot to be made. Move the larger end of the tie (down to up) from inside the loop and pull it tightly to affirm the wrap. Now move the larger end over the knot (right to left). Once again, pull the large end of your tie from inside the loop (down to up). Now holding the tip of the larger end, make it go through from inside the knot (downwards). Pull the large end tightly to adjust on the knot and tie it perfectly. The knot is now done! Now, by holding the knot and pulling the smaller end of the tie, make the knot go closer to your collar where it will quietly stand; giving you a perfect look. Again, move the larger end over the top of the shorter end (right to left), making another fold. Now, move the large end of the tie (down to up) from inside the loop and pull it tightly to affirm the wrap. Now holding the tip of the larger end, make it go through from inside the knot (downwards). Pull the large end tightly to adjust on the knot and tie it perfectly. The knot is now done! 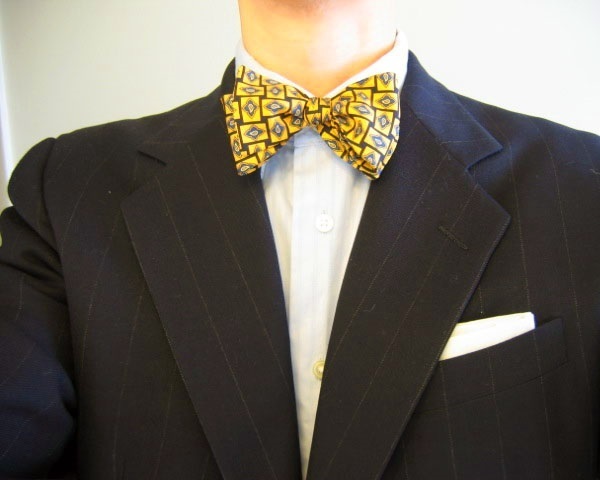 Now, by holding the knot and pulling the smaller end of the tie, make the knot go closer to your collar. This would give you a perfect look. The best way to tie a tie is by learning how to do it. Now that you have, go tie yourself a perfect knot!